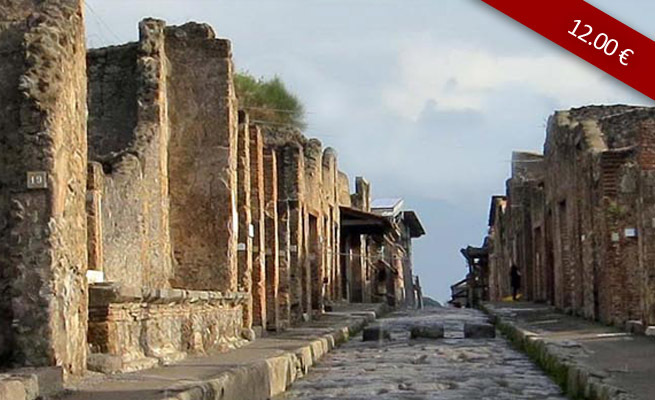 Enter ancient Pompeii and visit the most beautiful corners of the old city. 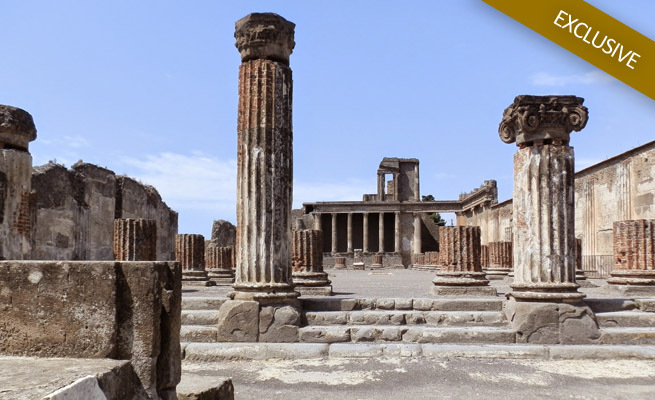 The excavations of the ancient city of Pompeii, listed since 1997 as a UNESCO World Heritage Site, is one of the most important archaeological sites in the world. The excavations of the city, started in 1748, brought back to life this important archaeological site. The life of the ancient city of Pompeii and its inhabitants ended abruptly in 79 AD, when it was covered under a layer of ash and lapilli about 20 feet high as a result of the eruption of Vesuvius. Our guide will take us back in time to experience the daily life of a typical Roman town of two thousand years ago. Pompei is a bit like a maze where it is easy to get lost even with a map. 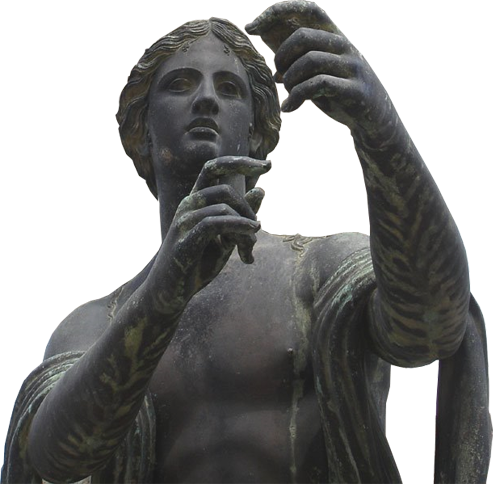 Choose to live the magic of Pompeii, the ancient Roman city destroyed by the eruption of Vesuvius. A journey back in time to discover one of the most famous archaeological sites in the world. Pompeii is one of the most visited tourist destinations in the world: a window on the historical and cultural remains of the ancient Roman city buried by the eruption of Vesuvius in 79 AD. 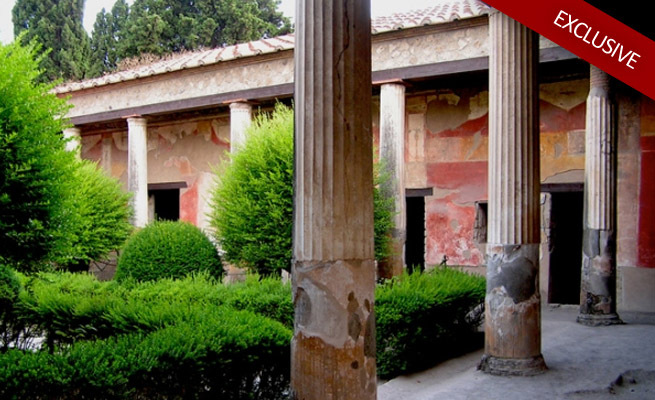 Immediately after Pompeii, Herculaneum is one of the most important archaeological sites in the Campania Region. The city, buried during the eruption of Vesuvius in 79 AD has not been entirely excavated yet. 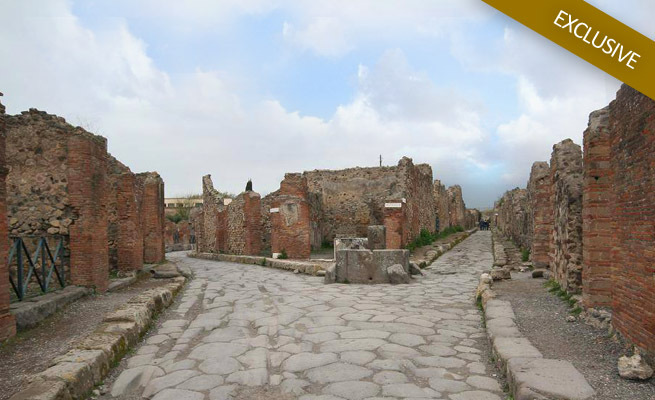 Step into the ancient Pompeii, visit the most beautiful places of the old city. Our guide will take you back in time to experience the daily life of a typical Roman town of two thousand years ago. We are the only agency in the area that organizes regularly every day the WALKING TOUR, a shared guided tour in which you divide the full rate with others. Tempio Travel is the only agency in the area that organizes the WALKING TOUR, that's to say a "shared guided tour" without having to pay the full price to have a professional guide.